The identification of cultural groups in the archaeological record, and the reasons for and mechanisms of contact between them, have been major topics of discussion in archaeology since its beginnings as a discipline. The methodological and theoretical aspects of these questions have so far largely been argued on the basis of ethnographic studies and socio-anthropological theories, but they are notoriously difficult to apply to archaeological research. To bridge this gap between socio-anthropological models and the material record, this dissertation starts from a concrete body of archaeological material that reflects the lives and movements of various groups of people living at a crossroad of different contact routes. 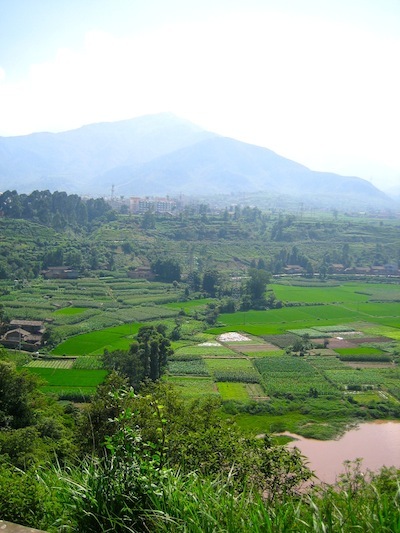 The Liangshan area in Southwest China is located at the intersection of several cultural-geographic regions and is crisscrossed by many rivers connecting it to places far north and south, while the high mountain ranges divide it into many micro-areas with very different environmental characteristics. In spite of exchange over long distances, most cultural phenomena therefore tend to be localized, making the Liangshan region an ideal case study for research on cultural groups and their relationship with the local environment on the one hand, and directions and mechanisms of short- and long-distance contacts on the other. Research in the region has been hampered by the fact that the multitude of groups that have lived in, passed through, and intermingled here since the late Neolithic left a complex archaeological record that is still not well understood. This study for the first time compiles a comprehensive catalog of all prehistoric material of the Liangshan area, providing separate analyses of all types of artifacts and archaeological features, and suggesting a chronological scheme for the whole region. Furthermore, this study relates the archaeological material to the geographical context and discusses local, regional, and supra-regional developments. This study starts from the micro-level of single objects, considering them in their technical properties of production and function, before widening the scope to the intermediate level of sites and features, and finally moving toward the regional and over-regional picture. A set of questions addressed on all levels are geographic preconditions and patterns of human-environment interaction that contribute to the formation of the archaeological record. One of the main methods employed in this endeavor is computer-aides spatial analysis (GIS) together with traditional archaeological methods of typology and statistics. This combined approach gives a third dimension to problems of chronology and cultural assignation, on which traditional approaches of classification and multivariate analyses provide insight. Through this combination of various methods applied to this very special body of material this study is able to re-conceptualize the objects and features in their geographical, temporal, and cultural context, sketching out local developments while at the same time answering questions of inter-group contact, its mechanisms and underlying reasons, both in this special case and in general. This study thus simultaneously makes a contribution to theoretical and methodological discussions on the nature of cultural groups and inter-group contacts, and their identification in the archaeological record. For a review of the dissertation consult Dissertation Reviews. VII.2 Comparing Assemblages: Functional Differences, Chronological Developments, or Cultural Differentiation?